London’s Tech City project received a boost from Google last night as the search giant announced that it had signed a 10-year lease on a seven-story office block.The new deal, which Google said was the first step in its commitment to support the Tech City start-up community, does not affect the location of Google’s main London HQ in Victoria, but is a coup for the Government-backed project to build the so-called “Silicon Roundabout” area of east London into a rival to Silicon Valley. Google declined to comment on how much the deal was worth but said it was significant. via Google’s Tech City ‘launchpad’ welcomed by George Osborne – Telegraph. Some of the world’s largest brands, including Coca-Cola and McDonald’s have recently given marketers senior roles in the boardroom. The fast food giant’s UK arm, as well as ING Direct, Match.com and Quorn all have former marketers as their chief executive, while Reckitt Benckiser’s incoming global CEO Rakesh Kapoor has run marketing for the company in various parts of the world. Coca-Cola, meanwhile, has recently promoted former chief marketing officer Beatriz Perez to vice-president. via Making it to the top | In-Depth Analysis | Marketing Week. “Hmmm…that’s really helpful,” I thought…..
…….whilst simultaneously buying £40 of organic cotton kidswear. 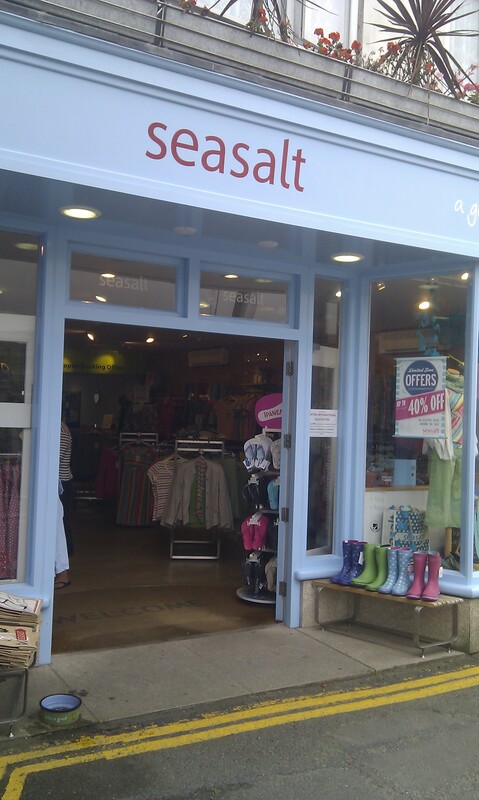 There’s nothing new about pop-up retail, or pop-up anything if you live on the Isles of Scilly. The same venue morphs from charity shop to music venue to church hall in the space of an afternoon as islanders make the best use of the resources they have. 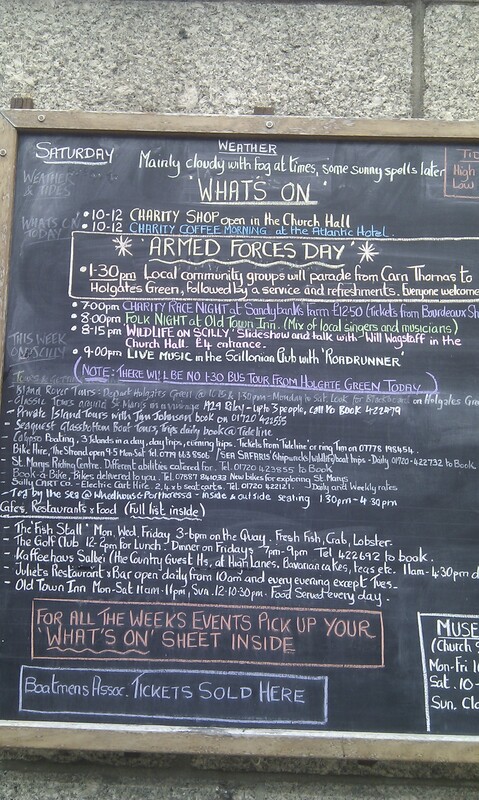 As for an interactive social what’s on guide……..you get to town and read the notice board. Simple! Facebook traces its roots to Harvard, but the social networking company’s culture skews more toward public high school—a good one, to be sure, in an area with good demographics that’s also slightly frayed at the edges. Google, on its sprawling suburban campus, is the smug private school in a world of its own. Both companies provide lavish perks, including free food at all hours, but there are clear cultural differences if you look closely. via Campus Life at Facebook and Google – IEEE Spectrum.